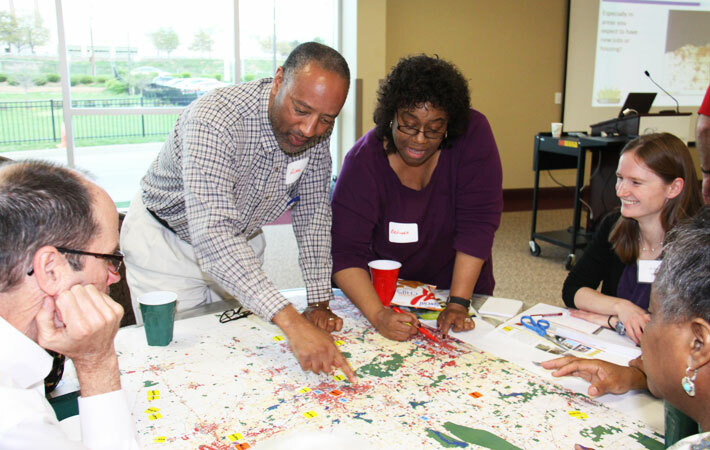 Vibrant NEO 2040 was a three-year regional planning initiative led by the Northeast Ohio Sustainable Communities Consortium (NEOSCC) to determine the vision of the future for four metro areas that include 12 counties in Northeast Ohio. 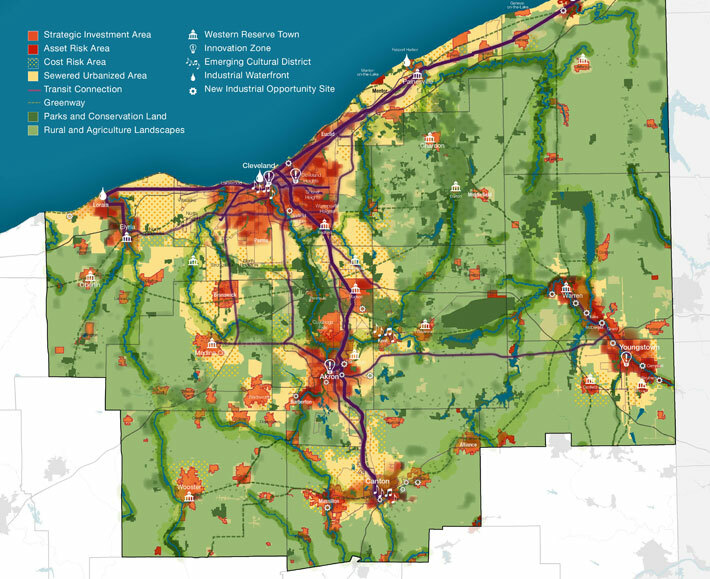 Vibrant NEO is the first regional plan ever implemented in the northeastern part of the state, which includes five MPO/COGs for Cleveland, Akron, Canton, and Youngstown. The project was funded through the U.S. Department of Housing and Urban Development's (HUD) Partnership for Sustainable Communities Initiative with the MPO for Greater Cleveland — the Northeast Ohio Area-wide Coordinating Agency (NOACA) — as the lead applicant and the fiscal agent. NEOSCC successfully secured the grant because of partnerships among government, nonprofits, and the philanthropic community, with the Fund for Our Economic Future as the major catalyst. The Vibrant NEO team that included NEOSCC and its consultant, Sasaki Associates, was special. The two organizations looked at the relationship not as client working with consultant but as colleagues working with colleagues. The impacts of that relationship, as well as the relationships with numerous stakeholders, have already helped to build a regional capacity that did not exist previously. Engaging the right community stakeholders and targeted audiences was crucial to the success of Vibrant NEO. The plan had three objectives: produce a framework that reflects the region's values, inform the process with local knowledge, and create champions for implementation. To achieve these campaign objectives, Sasaki and NEOSCC launched a two-tiered outreach effort that included building relationships with key stakeholders and regional leaders connected with large networks and community members often left out of the planning process. The team employed techniques that included surveys, new and social media, and public workshops. By the end of the project, the team had engaged thousands of Northeast Ohio residents, including underrepresented populations in low-income and minority communities. New areas of focus like housing affordability and access to jobs flowed from these conversations and informed further plan development. To date, implementation at the local level has included aligning local plans with the Vibrant NEO framework; partnering of regional sewer and water authorities to create watershed-based planning districts; working with coalition partners like the Trust for Public Land to create vacant land databases and brownfield reuse strategies; and creating transit-oriented developments (TODs) in metropolitan areas like Cleveland, while simultaneously rezoning to create residential density in strategic areas identified by Vibrant NEO 2040. In 2013, NEOSCC's board of directors officially adopted the Vibrant NEO framework, establishing the region's commitment to strengthening established communities, increasing transportation choices, and preserving and protecting natural resources. The organization is currently focused on the implementation of the plan. Engaging the community to chart a new course.